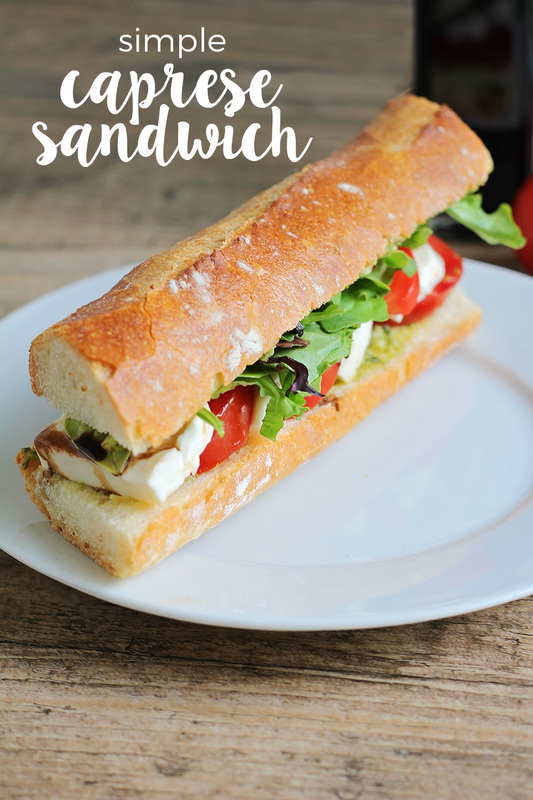 This simple and delicious caprese sandwich is so fresh and tasty, and easy to make! Is it weird that I can still remember vividly the first caprese sandwich I ever ate? It was in 2010 and I was in nursing school. It was my birthday, and I was so busy with school that I only had a 45 minute break in my day to get together with my husband for a birthday lunch. They had just opened a Corner Bakery across the street from our apartment complex, so we picked up our two year old from child care, drove to the restaurant, and ordered some sandwiches. I remember taking my first bite of fresh mozzarella, juicy tomatoes, fresh basil, and crusty bread, while looking across the booth at my husband and tiny daughter, and thinking how lucky I was. I was in an awesome (albeit time-consuming) nursing program, I had the best and most supportive little family, and I had an amazingly tasty sandwich to eat. What more could a girl want? It's been seven years since then, and while my life is definitely a little different now, it's still pretty great! One thing that hasn't changed is my love for caprese sandwiches. :) I developed my own recipe a few years ago, and it's just as good as that sandwich I remember. I think I could eat this sandwich for lunch every single day and never ever get sick of it. There’s something magical about the combination of fresh, juicy tomatoes and creamy mozzarella, with the added flavor from the crisp basil leaves and fresh pesto. 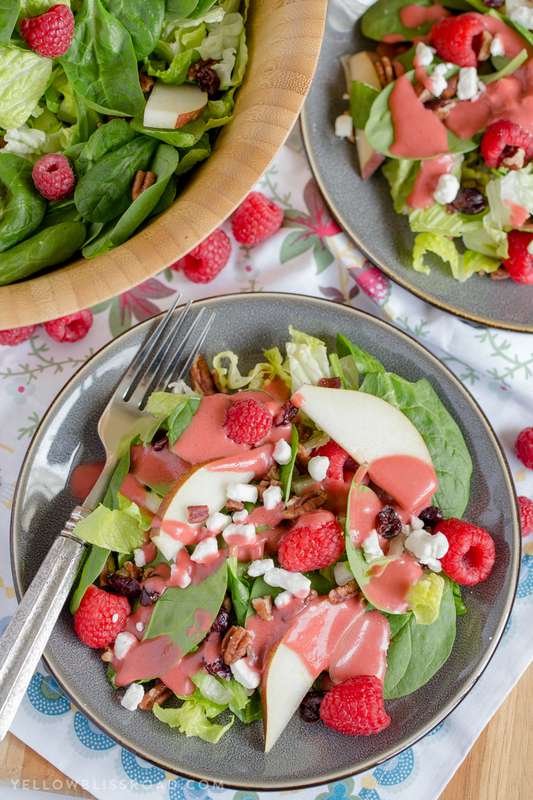 The spring mix salad on top adds a delicious crispness and texture, and the crusty, chewy baguette holds everything together. 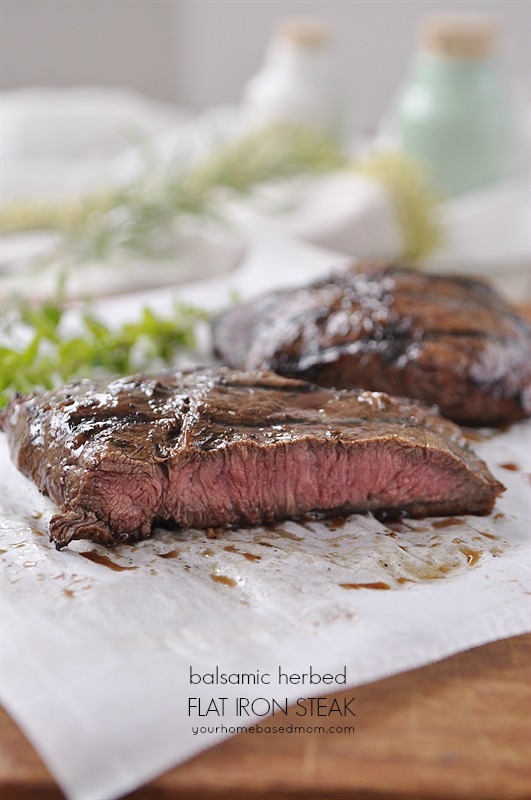 It’s a super simple and easy meal, and definitely one of my favorites! 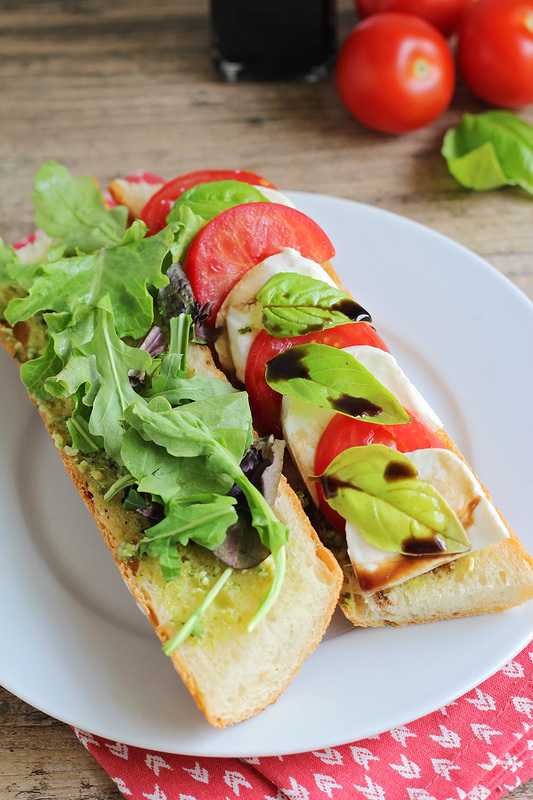 Slice each half of the baguette in half horizontally and spread both sides with pesto. On one side, layer alternating slices of tomatoes and fresh mozzarella. Top with fresh basil leaves and drizzle with balsamic vinegar, then add the spring mix to the top. Enjoy! 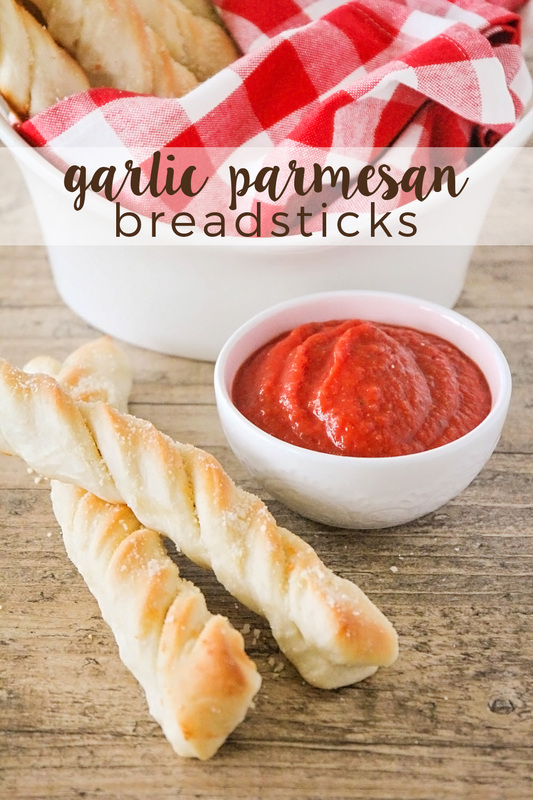 These garlic parmesan breadsticks are addictingly delicious, and ready in under 45 minutes! These are, hands down, the best breadsticks I've ever had. 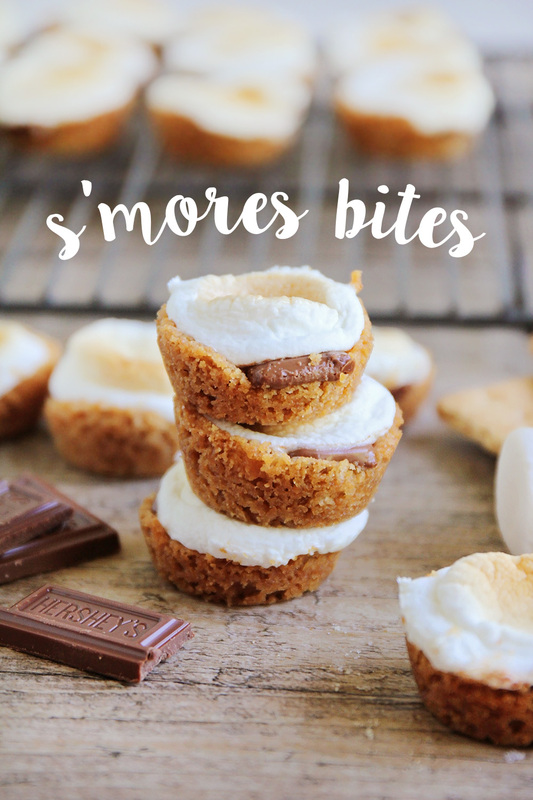 I've been making them for years now, and they are consistently a favorite with my family. 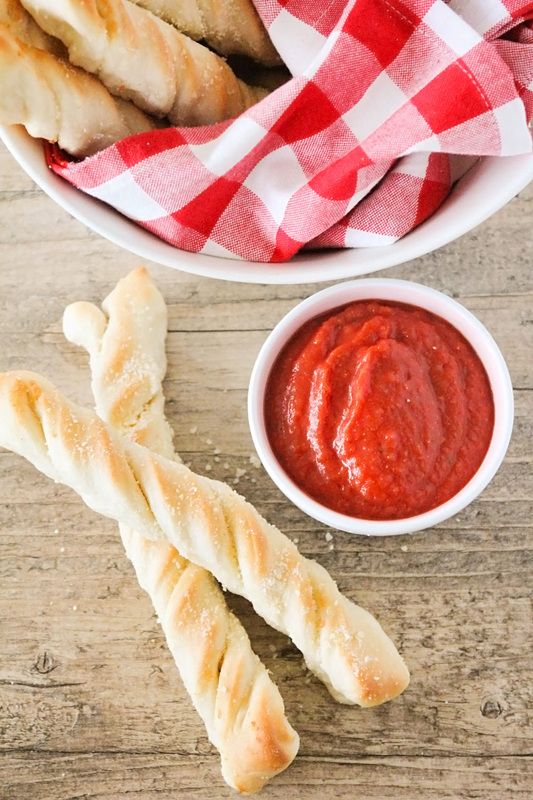 We try to have family pizza night at least twice a month, and these breadsticks are always on the menu! They're soft and fluffy, buttery and garlicky, and so savory and delicious. 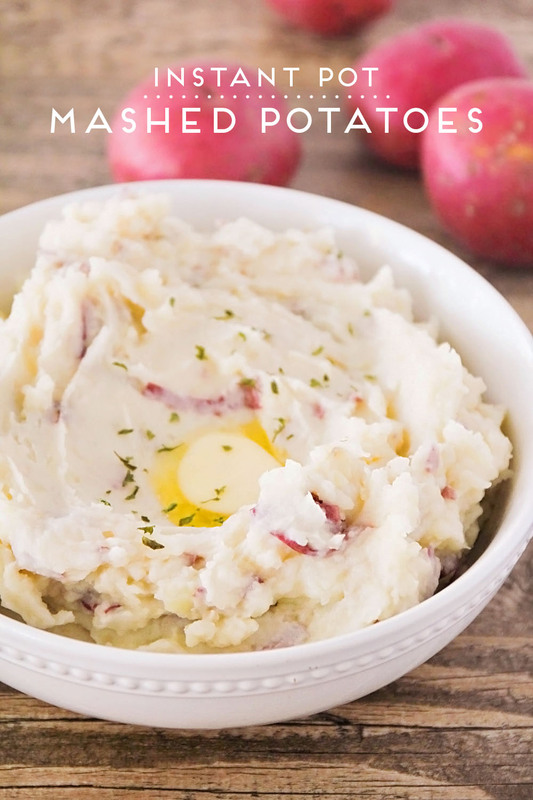 Best of all, they take less than an hour to make, which means they're the perfect side dish for a busy night! 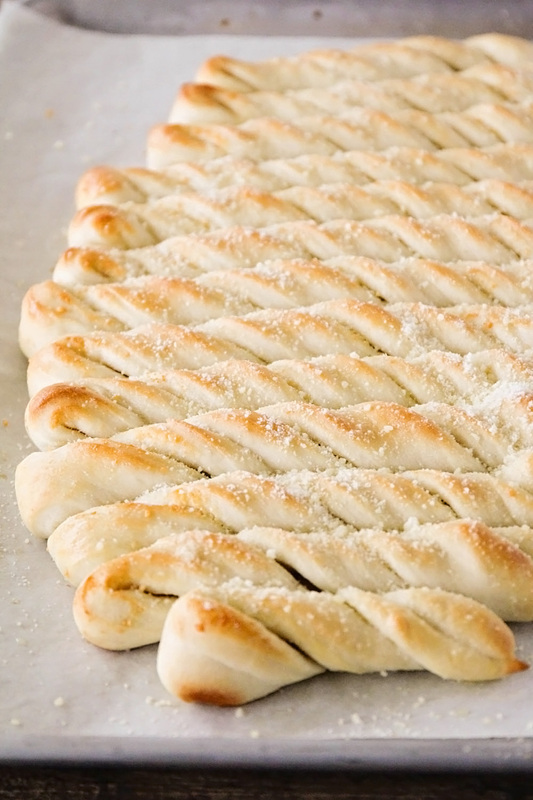 These breadsticks are at their very best when they're hot and buttery, fresh out of the oven. They are super delicious dipped in some fresh marinara sauce, too! Once you make them, though, you won't be able to stop. This is one of those recipes that has everything going for it: it's quick and easy, super delicious, made with simple ingredients, and consistently perfect. 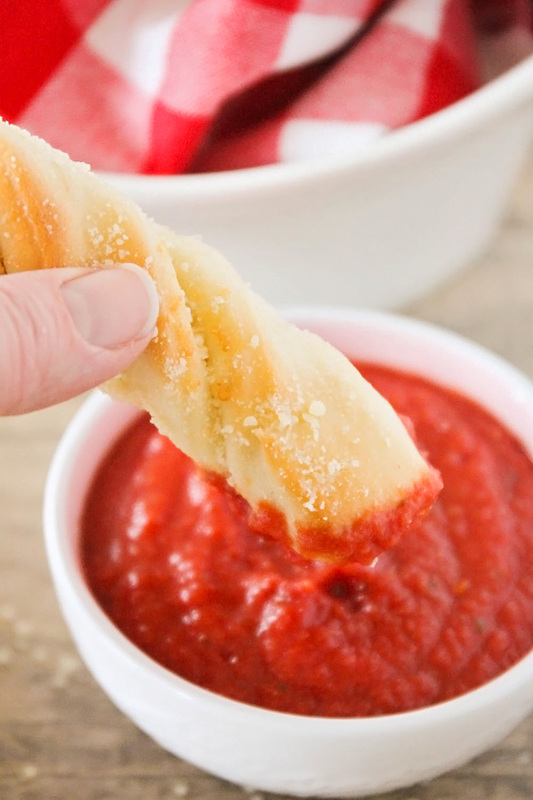 You definitely have to try these breadsticks! Preheat oven to 400. In the bowl of a stand mixer, or a large mixing bowl, combine warm water, sugar and yeast, and let sit for five minutes, until the yeast is bubbly. Add the flour and salt, and mix this until a smooth dough forms. Let rise for 10 minutes. 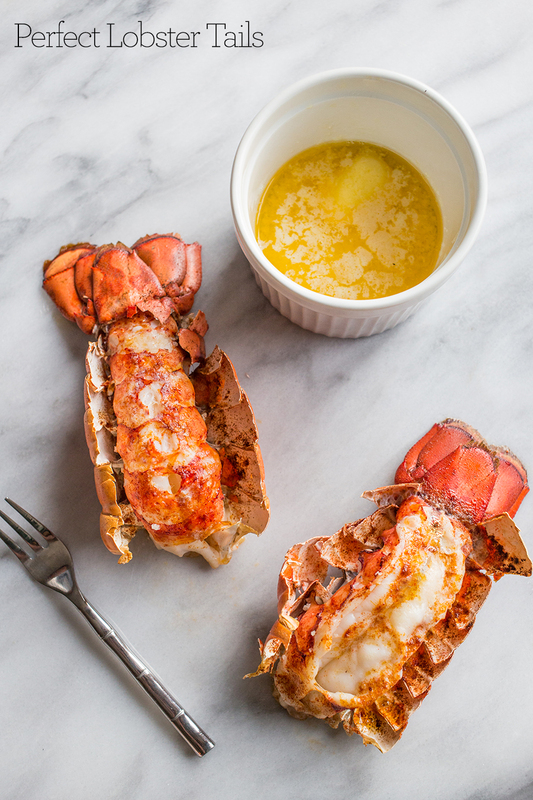 Combine the melted butter with the garlic. Roll out the dough into a large square on a floured surface. Brush with three tablespoons of the garlic butter mixture, and sprinkle with parmesan cheese. Fold the dough over onto itself, so the buttered sides are touching. Cut the dough into one inch strips using a pizza cutter. Twist the one inch strips of dough and place on a cookie sheet. Let rest for 10-15 minutes. Bake at 400 degrees for 15-20 minutes or until golden brown. Immediately after baking brush with remaining garlic butter and sprinkle with parmesan cheese. Serve warm and enjoy! 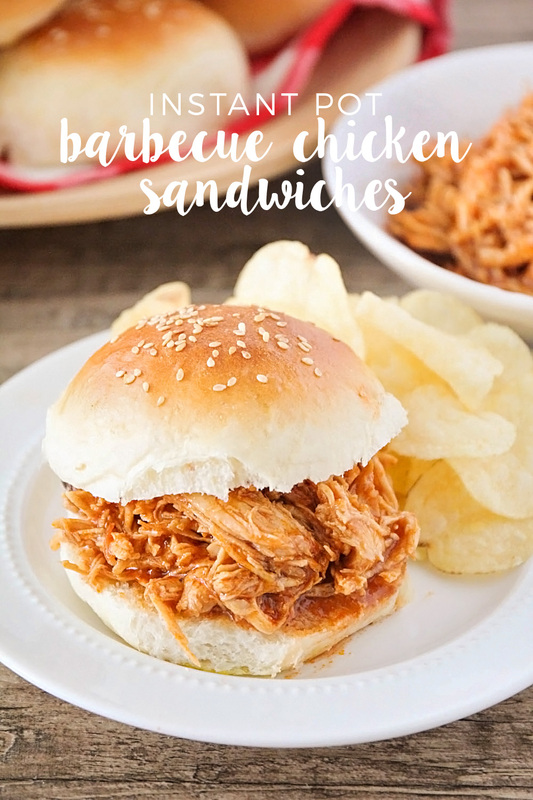 These instant pot barbecue chicken sandwiches are so juicy and flavorful, and so easy to make! 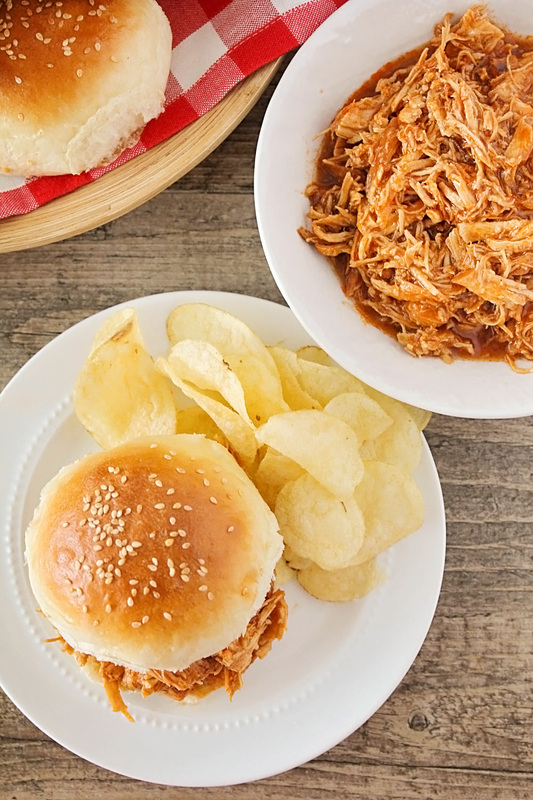 I'm just going to say it: these are the best barbecue chicken sandwiches ever! I should have known that my Instant Pot would come through for me once again, with flavorful, tender, juicy meat. It's a miracle worker! This recipe came about because I was stuck at home with a sick kiddo and wasn't able to do my grocery shopping as usual. The fridge was nearly empty, and I was racking my brain, trying to think what to make, and I saw a half empty bottle of barbecue sauce. I whipped up a quick sauce with a few other ingredients, pulled some chicken out of the freezer, and had a quick and easy meal! I served the chicken with the homemade hamburger buns I posted about on Wednesday, and they were perfect together! I was pretty proud of myself for making our dinner almost completely from scratch, too. These sandwiches were so good that everyone in my family begged for seconds, and devoured the leftovers the next day. 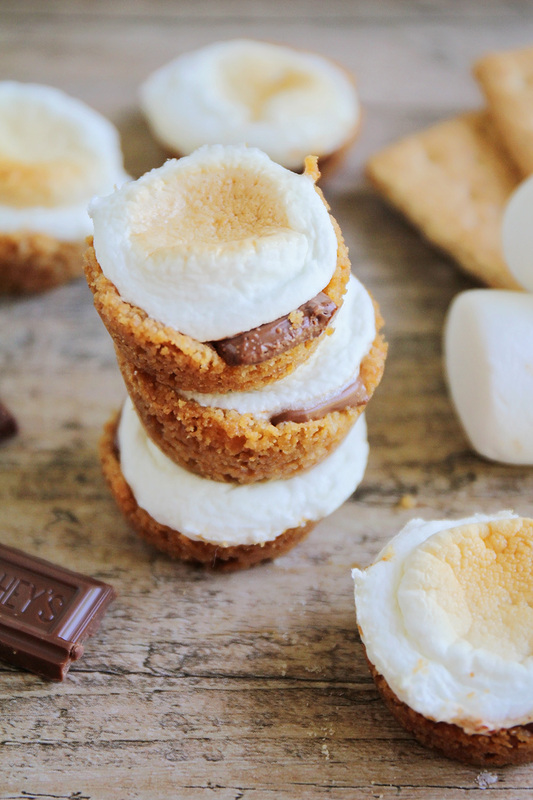 We will definitely be making these again! Sprinkle the chicken with salt and pepper. Place in the bottom of the Instant Pot. 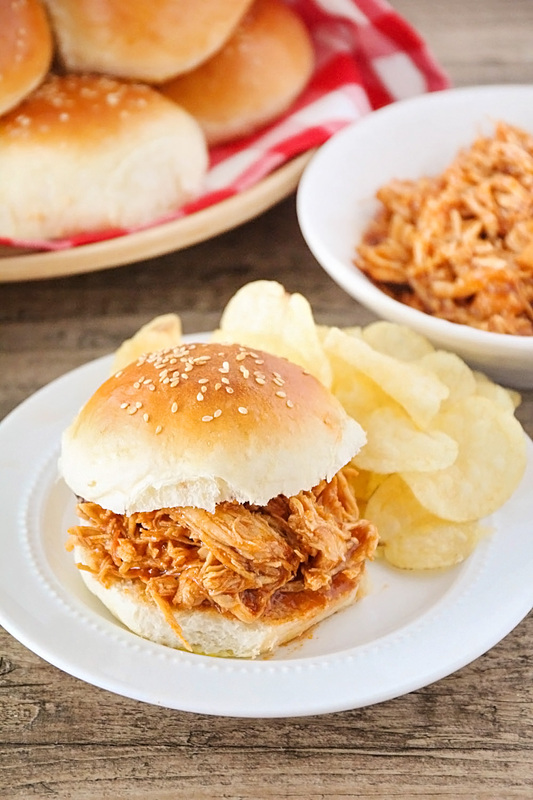 In a small bowl, whisk together the barbecue sauce, Italian dressing, brown sugar, and Worcestershire. Pour the sauce over the chicken. Cook on high pressure for 24 minutes for frozen chicken, or 20 minutes for thawed chicken. Let pressure release naturally, then pull out the chicken breasts and shred the chicken. Return the chicken to the pot and toss to coat with sauce. Serve hot on fresh rolls. 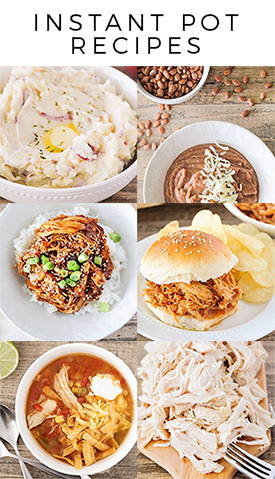 * Note: If you don't have an Instant Pot, you could easily make this in the slow cooker. Add the chicken to the slow cooker, sprinkle with salt and pepper, and pour the sauce over the top. Cook on high 3-4 hours, then shred. 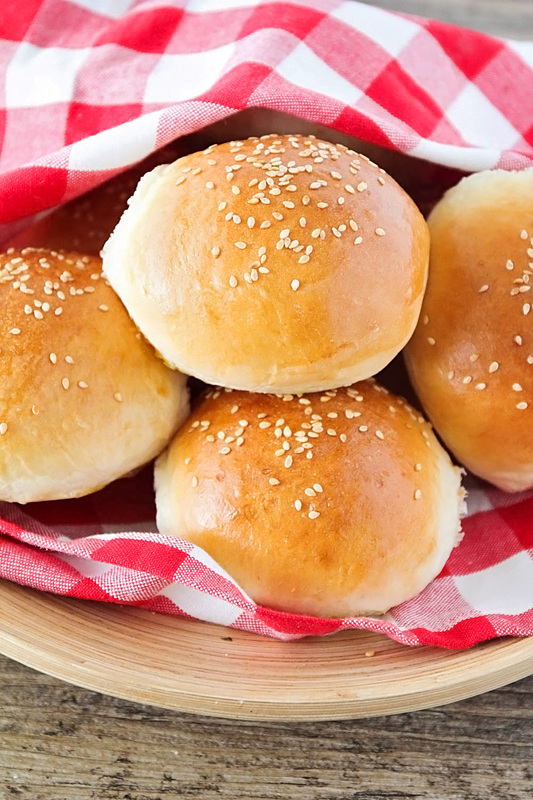 These homemade hamburger buns are better than store bought! They're soft and tender, but sturdy enough to stand up to any burger. Yum! Seriously, though, homemade hamburger buns! I've been trying to make my own hamburger buns for years, but I've always been a little less than thrilled with the results. They always seem to end up either too heavy, and the bun totally overpowers the burger, or too light, and the bun gets soggy and falls apart when I'm eating the burger. 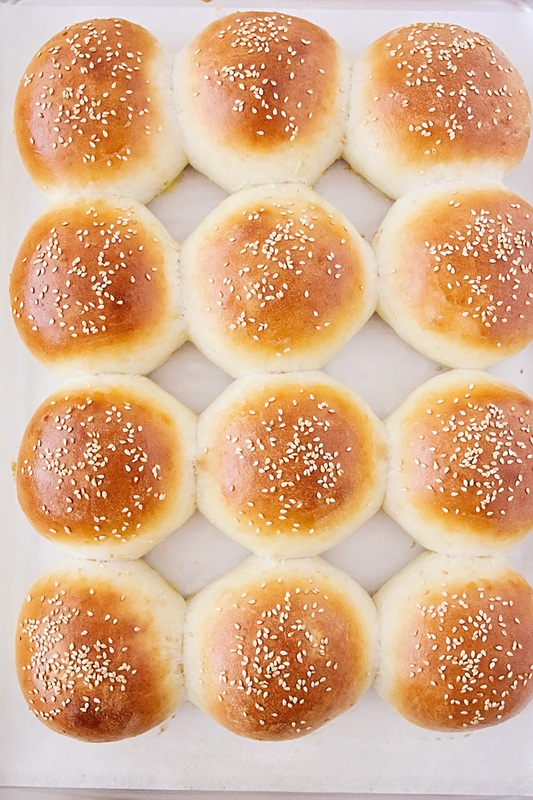 These buns, though... they are perfect. They're slightly chewy on the outside, soft and tender on the inside, and they don't fall apart or get soggy while you're eating. They're all-around perfect! These hamburger buns turned out so good that I think I really may just make all of our buns from scratch from here on out. 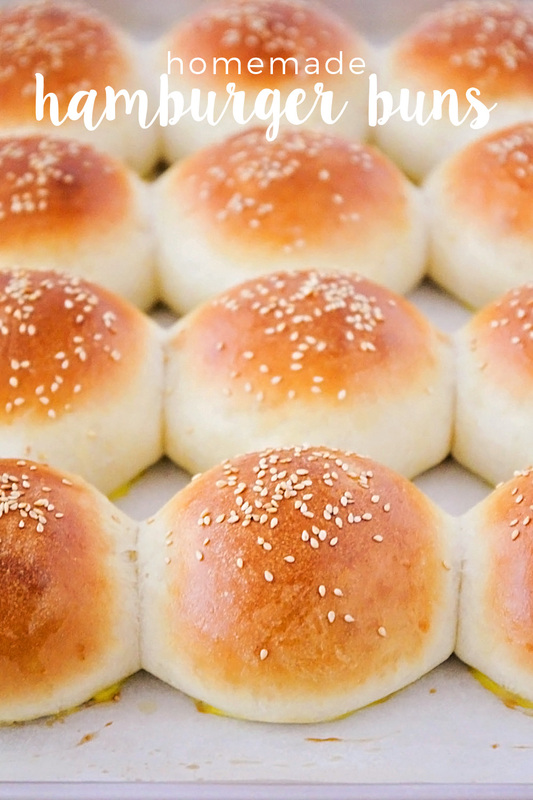 I have had many a conversation with my husband about the failings of the buns at the grocery store (I'm sure he's thrilled by all of these conversations...) and I really haven't found any store-bought buns that can hold a candle to these babies. Homemade for the win! In a large bowl or the bowl of a stand mixer, stir together the milk, water, yeast, and sugar. Let sit five minutes, or until bubbly and foamy. Add the salt, one egg, butter, and two cups of flour, and mix until combined. Add additional flour, 1/3 cup at a time, until the dough pulls away from the sides of the bowl and comes together into a ball. The dough should be slightly sticky to the touch, but should roll into a ball if rolled between your thumb and finger. Move the dough to a greased bowl, cover, and let rise one hour, or until doubled. After the dough has risen, gently deflate it and divide into twelve equal portions. Roll each piece of dough into a ball, then flatten the ball slightly with your hand. Place on a baking sheet lined with silicone or parchment. Repeat with remaining dough. Cover and let rise for one hour, or until doubled. Add a pan full of water to the bottom rack of the oven. Preheat the oven to 400 degrees. Whisk together the remaining egg with 1 teaspoon of water, then brush the egg mixture over the buns. Sprinkle with sesame seeds. Bake 15 minutes, or until golden brown. 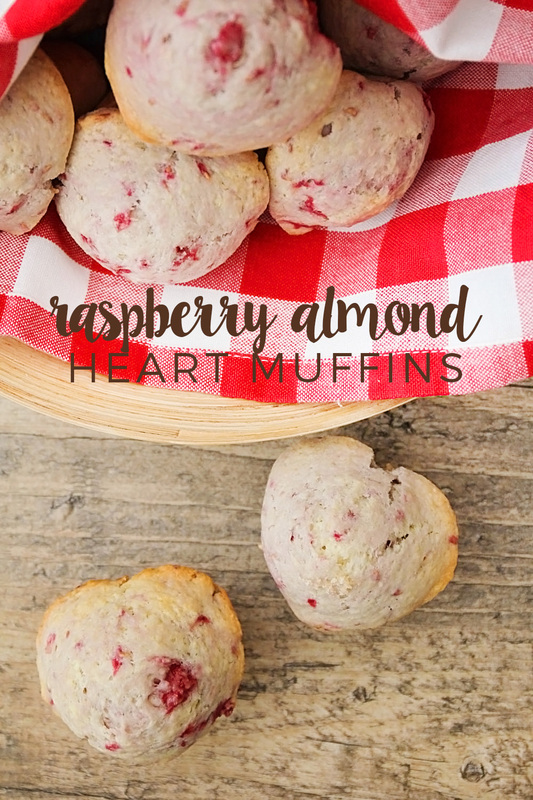 These raspberry almond heart muffins are adorable and super delicious! 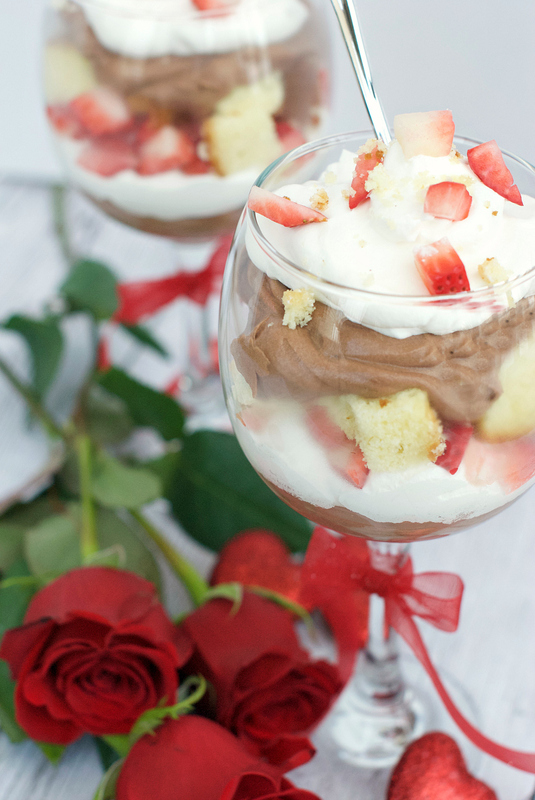 Perfect for sharing with your sweetheart! 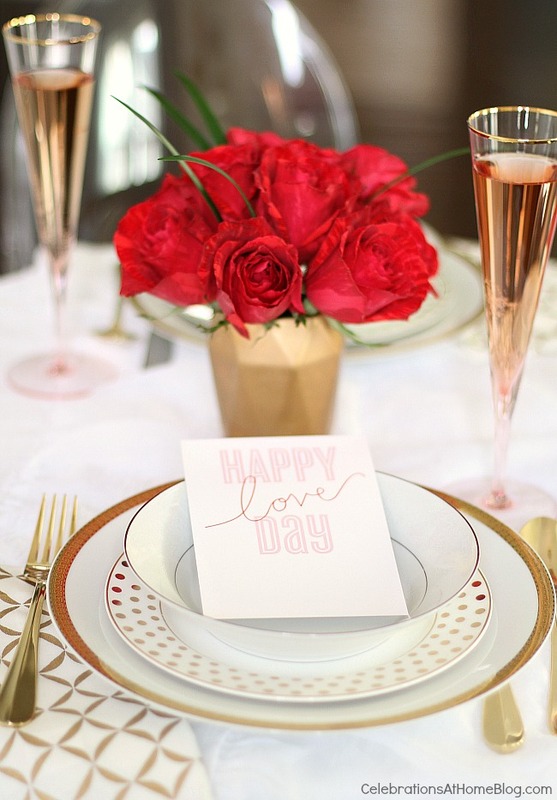 I've said it before, and I'll say it again: Valentine's Day is my favorite holiday! I look forward to it all year long, and I'm so excited that tomorrow is the big day! 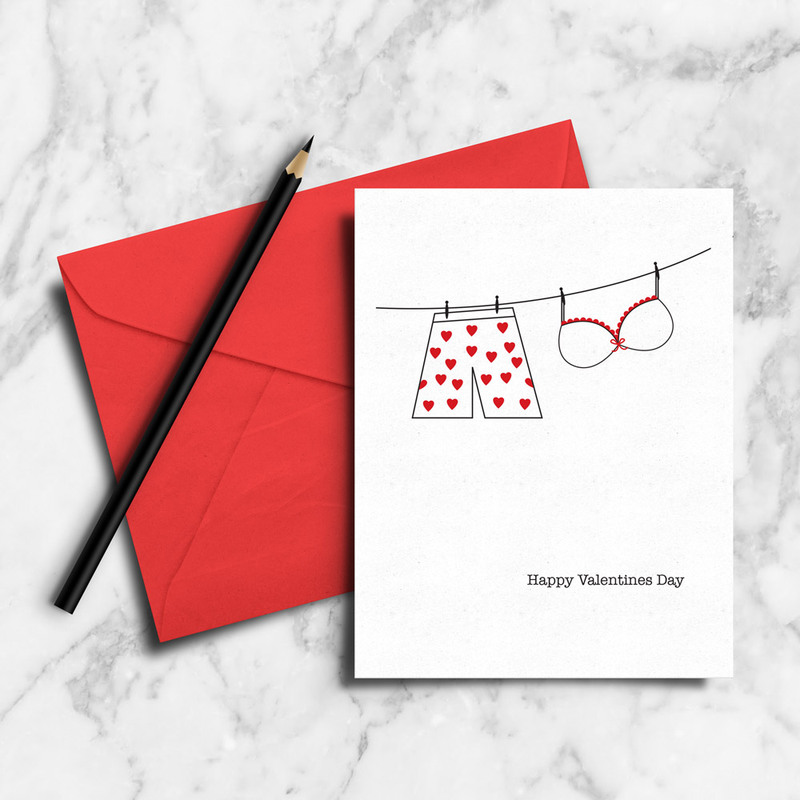 Valentine's Day is probably a little less exciting for me now than it was when I was young and single, but it's much more enjoyable because I get to celebrate it with my little family. I love the opportunity to give everyone in my family a little treat or small gift, and remind them of how much I love them! 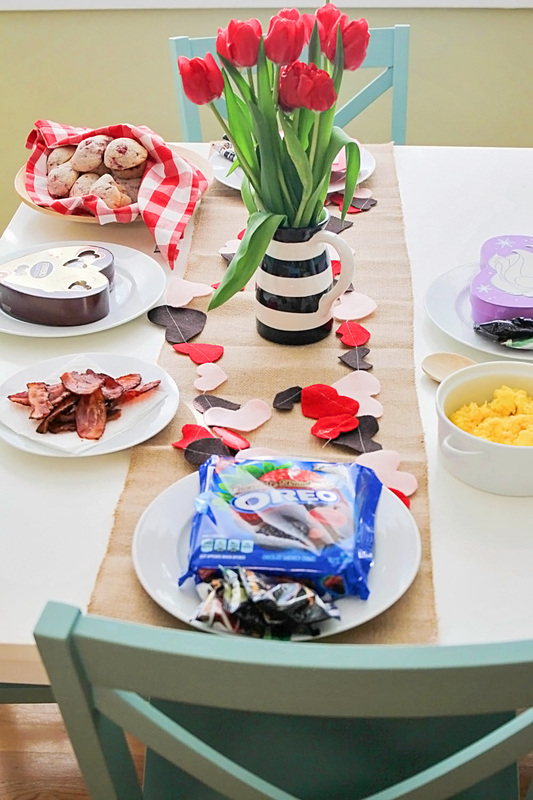 This year my husband is scheduled to work on Valentine's Day, so we decided to celebrate a few days early with our traditional Valentine's breakfast! I made these delicious raspberry almond muffins, along with some bacon and scrambled eggs, and we had a lovely breakfast. The muffins turn out so yummy! 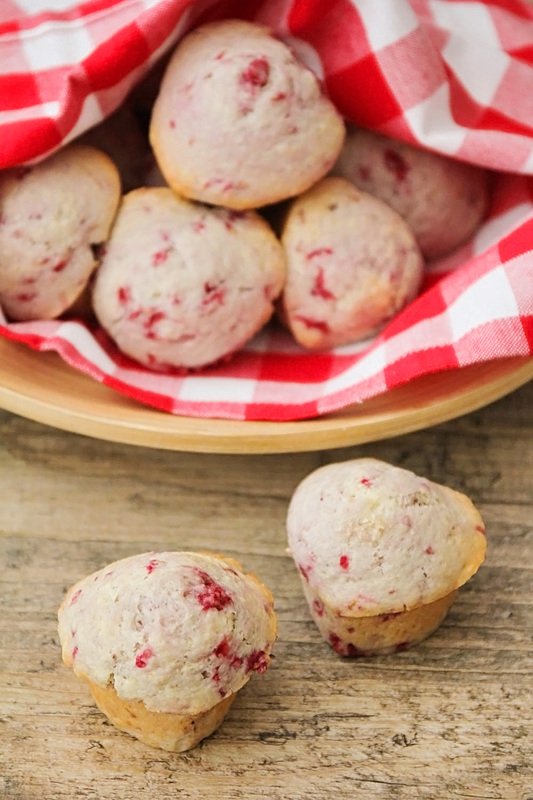 I let the raspberries break up a little bit, so they were scattered throughout the muffins, and they were the perfect little burst of tartness in contrast to the sweet muffins. Yum! Preheat the oven to 400. Spray a muffin tin (I used this one) with cooking spray. In a medium bowl, whisk together the flour, sugar, salt, and baking powder. In a small bowl, combine the oil, egg, milk, and almond extract. Pour the wet ingredients into the dry ingredients, and mix until just combined. Stir in the raspberries (it's okay if they get broken up a little bit. 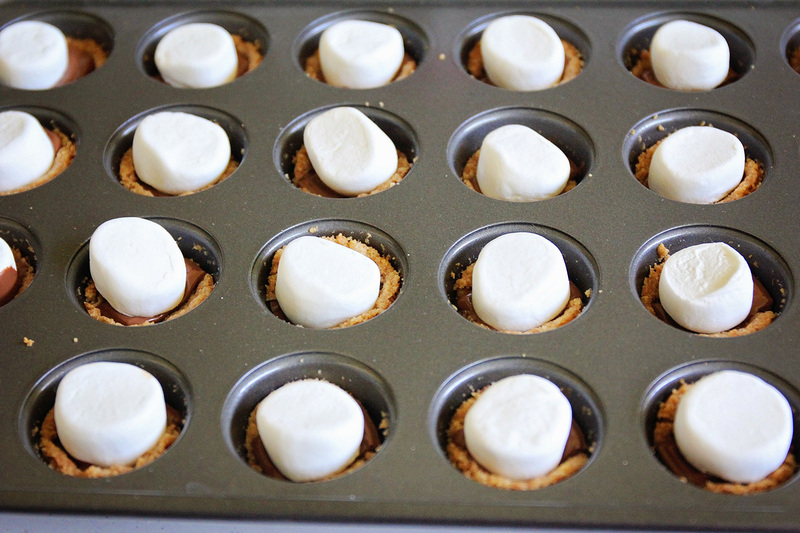 Scoop the batter into the prepared muffin tin, filling nearly to the top. Bake 15-20 minutes, or until lightly browned. I always choose a little something fun for each member of my family, and put it on their plate. In past years I've given my kids new books to read, cute stuffed animals, Valentine's socks and tights, water bottles, and bubbles. This year I couldn't find anything I really liked, so I just went with candy, fruit snacks, and washi tape (because my kids are OBSESSED with tape). I always get a treat for my husband, too, and this year I got him a gift certificate to our favorite doughnut shop (Pip's Original, for any of you Portland locals). 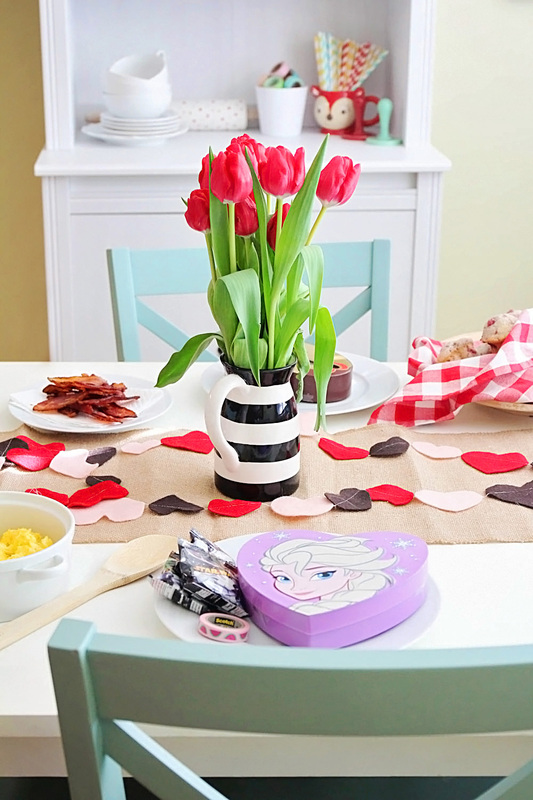 I really like to add fresh flowers to the table, too. When we were younger (and poorer), this was a little more of a novelty, but since we live so close to Trader Joe's now (and aren't starving students anymore), I buy fresh flowers at least twice a month. 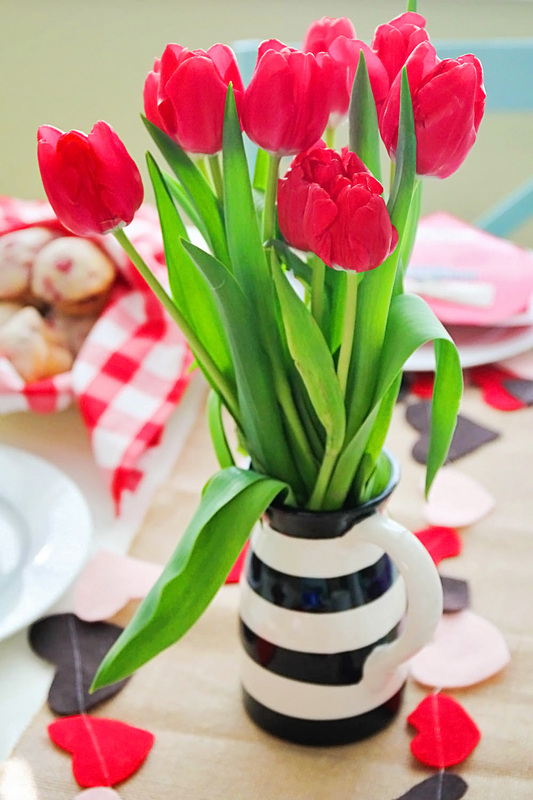 These red tulips were so pretty, I couldn't pass them up! 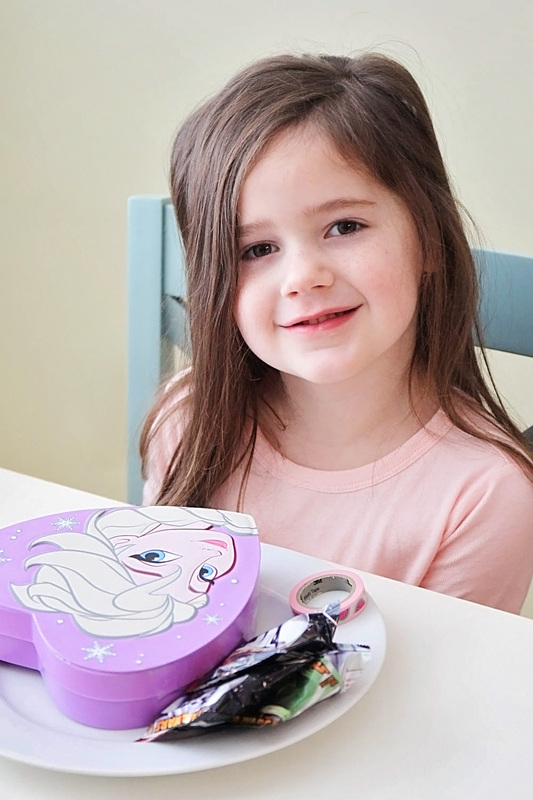 I love seeing my kids' facial expressions when they see their gifts! It's like a mini Christmas morning for them. :) Our annual breakfast is really nothing very fancy or original, but it's something we all look forward to, and love! 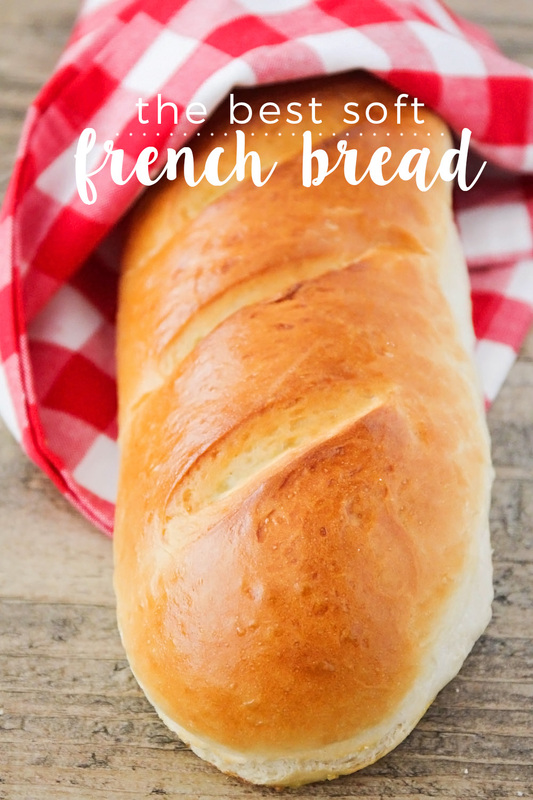 This soft and fluffy french bread is better than store-bought and so easy to make! 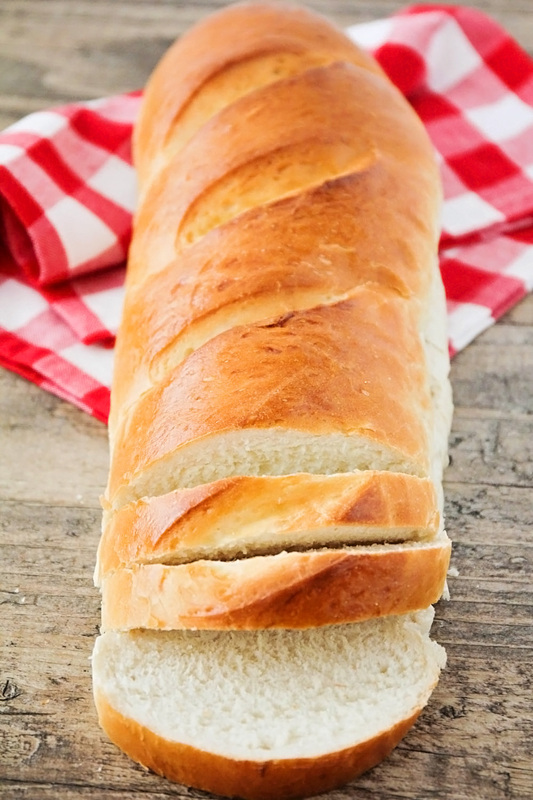 Is there anything better than fresh french bread, hot out of the oven? The smell, the crisp crust and the soft and fluffy inside... it's enough to make my mouth water, just thinking about it. 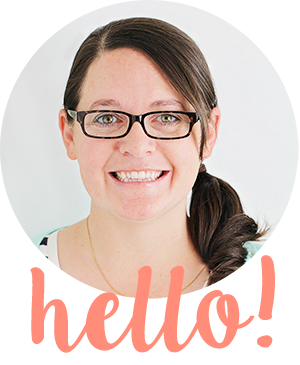 I remember years ago, when I was pregnant with my oldest, having dinner at my best friend Cort's house. 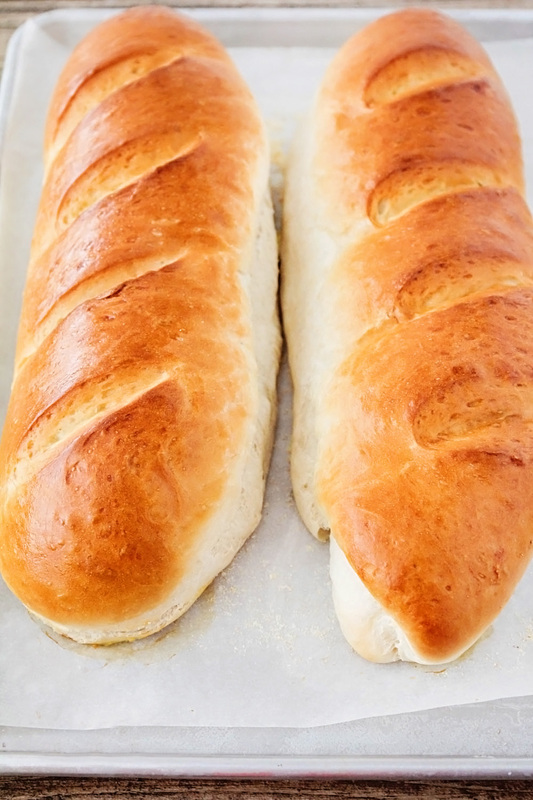 I can't remember what she cooked for dinner, but I remember that she made the most amazing, melt-in-your-mouth delicious french bread, and I couldn't stop eating it. I'm going to blame it on my pregnancy (although it's not like anything has changed since then...), but I just kept shoving slice after delicious slice into my mouth. I probably ate at least half a loaf by myself (sorry, Cort!). At the time, I was terrible at baking bread, and after that night I added "bake perfect bread like Cort" to my lifetime goals list. I asked Cort for her recipe, of course, but she bakes so much by feel and intuition that it was nearly impossible for me to replicate her bread. Years passed, and I bought myself a stand mixer and learned how to make amazing bread, but french bread still eluded me. And then I stumbled across the recipe below, and reached french bread nirvana. It's everything I could ever want in a french bread. 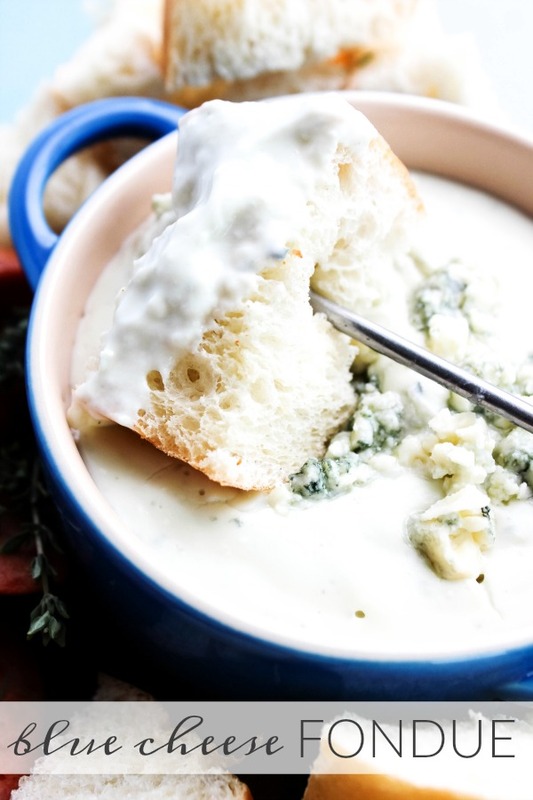 The flavor and texture are spot on, and it's the perfect bread side for soup night. It also makes delicious sandwiches, french toast, and even french bread pizza! I've made this recipe dozens of times, and it always comes out of the oven golden brown and perfect. 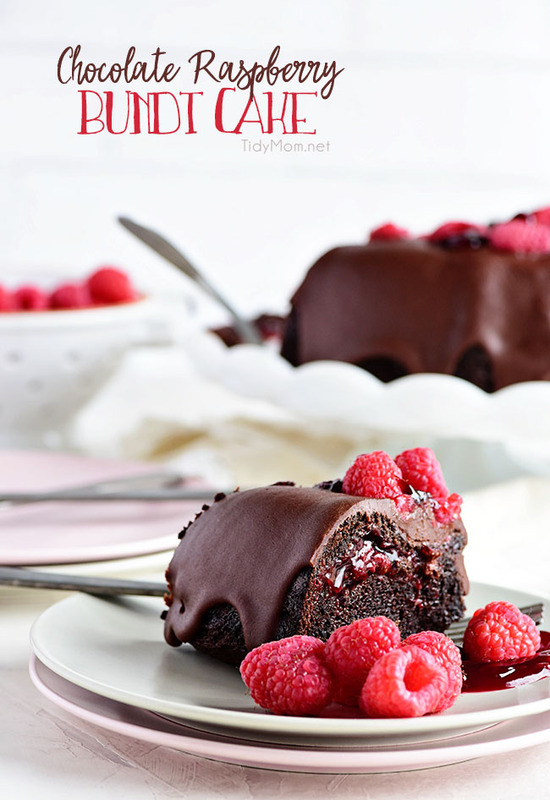 It's one of my favorites to bring when we have dinner with friends, and everyone is always surprised I made it myself, because it's so perfect! (I'm a little surprised myself, to tell the truth.) 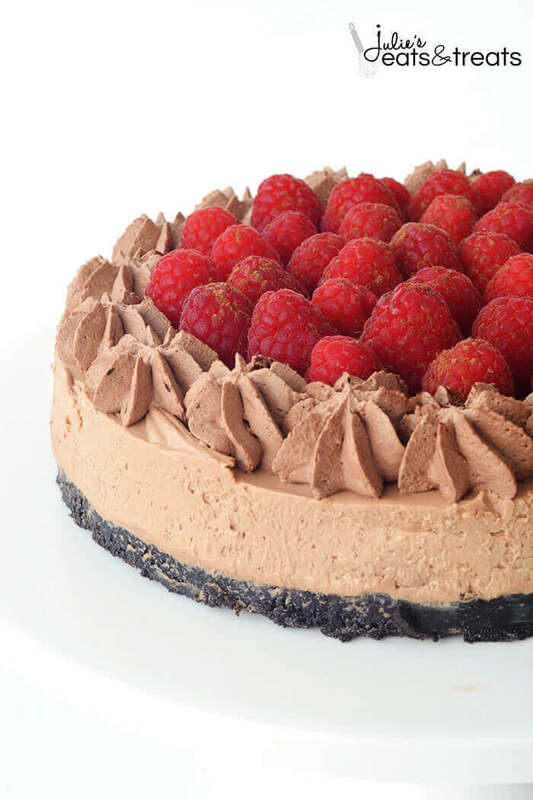 You definitely need this recipe in your arsenal! 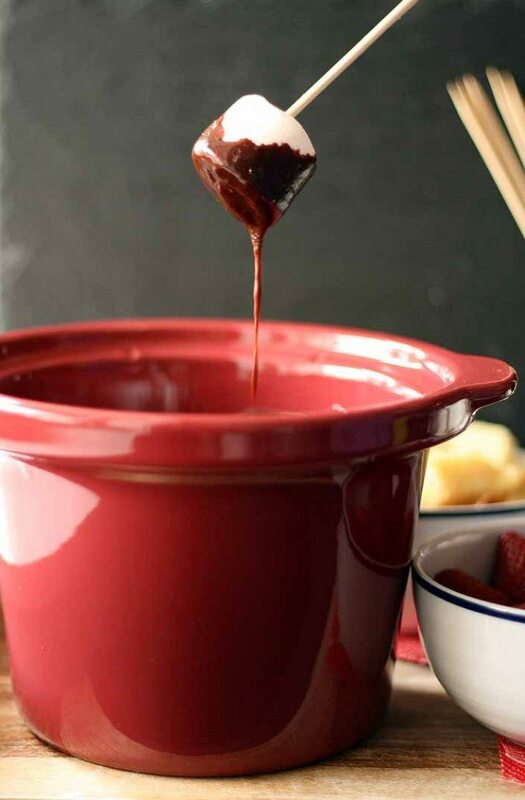 In a large bowl or the bowl of a stand mixer, dissolve the yeast and sugar in the warm water. Let sit until foamy and bubbly. Add the salt, oil, and 3 cups of flour, and mix until smooth. Add additional flour, 1/2 cup at a time, until the dough pulls away from the sides of the bowl and doesn't stick to your finger when tapped lightly. Let the dough rest ten minutes, then stir it down (I just turn my mixer on for a few seconds). Repeat four more times, stirring the dough down in between the rise intervals. Prepare a baking sheet by lining with parchment or silicone and sprinkling with cornmeal. Divide the dough in half, then roll each half out into a rectangle that is approximately 9 inches by 13 inches. Starting at the long side, roll the dough up into a long cylinder. Place seam side down on the prepared baking sheet, and repeat with remaining dough. Cut 3-4 slashes in the top of each loaf with a sharp knife. Cover lightly and let rise 30 minutes. Preheat the oven to 375. In a small bowl, whisk together the egg with a splash of water to make an egg wash. Brush the egg wash over the surface of both loaves. Bake 30 minutes, or until golden brown and hollow sounding when tapped. 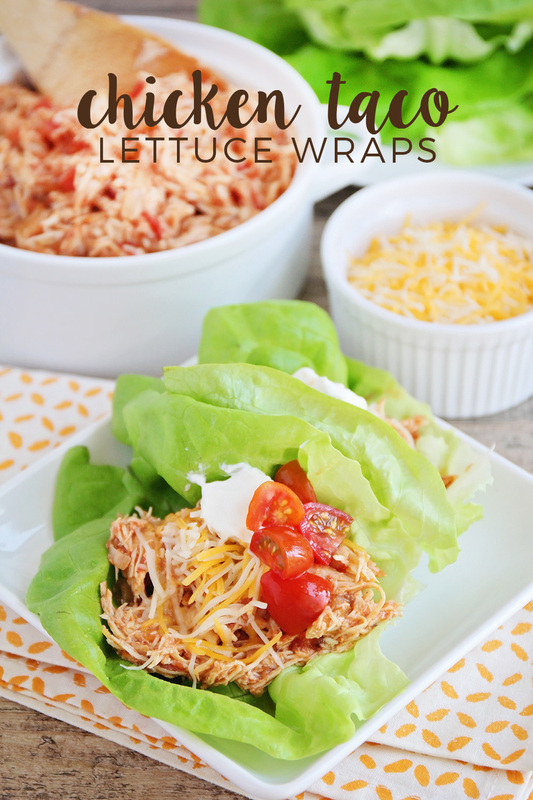 These chicken taco lettuce wraps are made in the slow cooker and so flavorful and delicious! They're the perfect healthy meal for a busy day. Is everyone else still as into lettuce wraps as I am? I'm not a low carb eater by any means (heaven knows I love me some bread, as evidenced by the fact that I'm sharing two different bread recipes on the blog this week), but there's something so crisp and delicious about a lettuce wrap. I've been making these asian lettuce wraps for a few years now, but I thought it would be fun to change things up and try a southwest twist. These chicken taco lettuce wraps are fantastic! 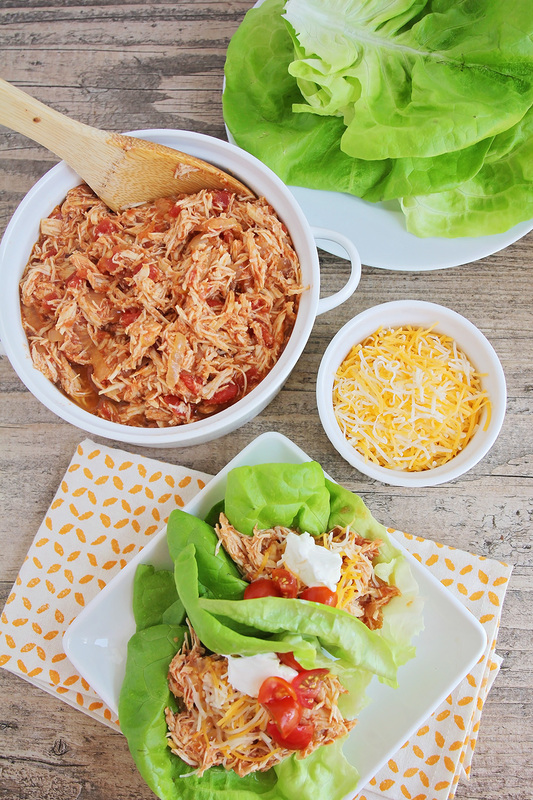 The chicken cooks in the slow cooker until it's flavorful and tender, then gets wrapped up in a crisp lettuce leaf and topped with your favorite taco toppings. They're a lighter twist on classic tacos, and one the whole family will love! 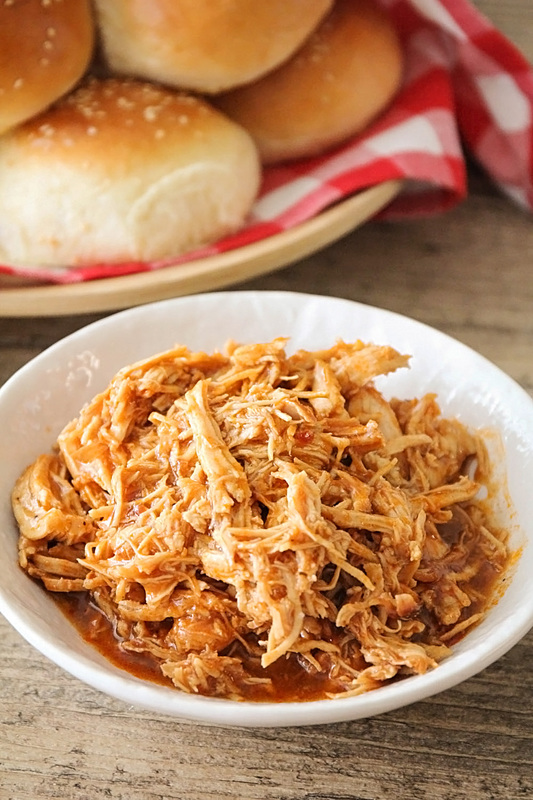 If you're short on time, you could definitely make the chicken in the Instant Pot instead. I would suggest adding everything as described below, as well as 1/4 cup water, then setting the instant pot to high pressure for 20 minutes. I've made this chicken that way several times, and it always turns out delicious! Spray a slow cooker with cooking spray. Add the chicken breast to the bottom of the slow cooker and sprinkle with the onions. Mix together the salsa, taco seasoning, and garlic powder, and pour the mixture over the chicken. Cover and cook on high for 2-3 hours, or on low for 4-6 hours. 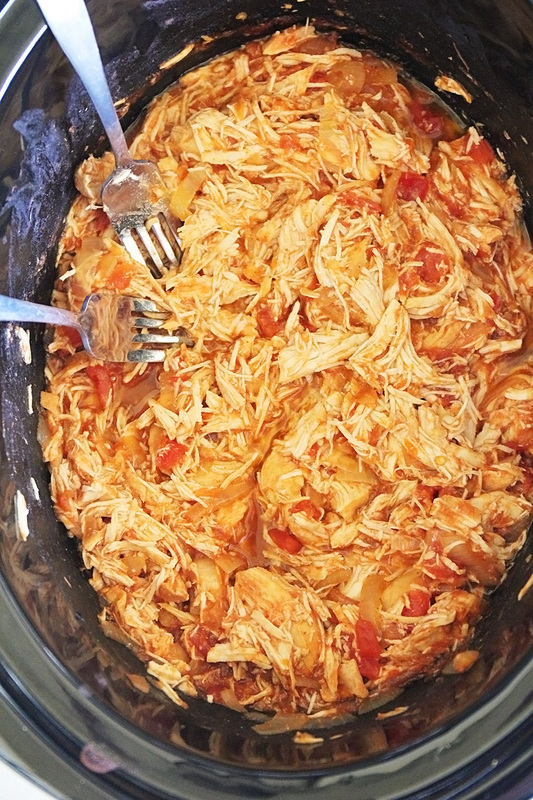 Remove the chicken from the slow cooker and shred with two forks, then return to the slow cooker and mix with the sauce. To serve, spoon the chicken mixture into each leaf of lettuce and sprinkle with cheese. Top with additional toppings as desired. 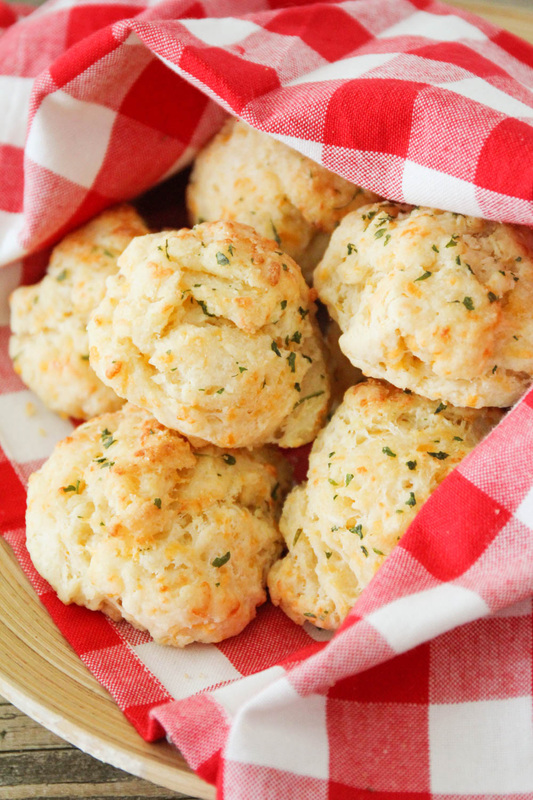 These Red Lobster copycat cheddar bay biscuits are soft and fluffy on the inside, crisp on the outside, and so cheesy and delicious! On Saturday, I shared my favorite new soup recipe, and today I'm sharing the amazing cheesy biscuits I made to go with it. 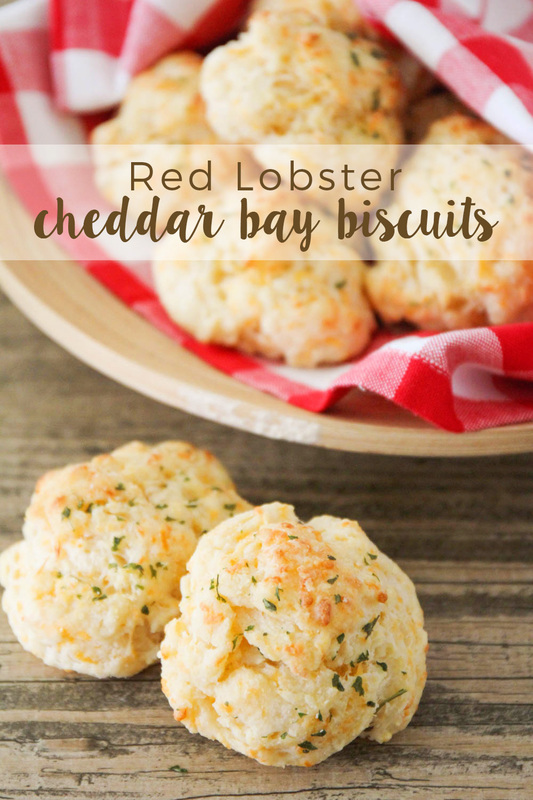 If you've ever had the cheddar bay biscuits from Red Lobster, then you'll know how delicious these are! They're crisp on the outside, so soft and fluffy on the inside, and loaded with cheese and buttery garlic flavor. This particular recipe is my favorite, because it doesn't use any Bisquick (which I never have on hand), and they are so easy! You don't even have to pat the dough out and shape it, because they're drop biscuits. They really couldn't be simpler, or more delicious. 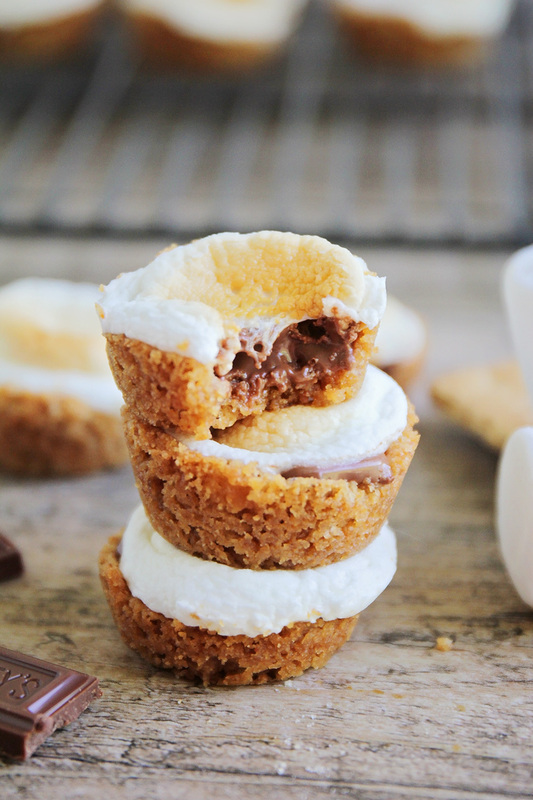 You definitely need to try these biscuits! Preheat the oven to 400 and line a baking sheet with parchment or silicone. In a medium bowl, whisk together the flour, baking powder, salt, and 1/2 teaspoon garlic powder. Grate 6 tablespoons of butter into the dry ingredients, add the cheese, and toss to combine. Pour in the buttermilk and mix until just combined. Using an ice cream scoop, scoop large spoonfuls of the dough onto the prepared baking sheet. Bake 14-16 minutes, or until lightly browned. While the biscuits are baking, melt the remaining 2 tablespoons of butter in a microwave safe bowl. Whisk in the remaining 1/2 teaspoon garlic powder and parsley. Brush the butter mixture over the biscuits. Serve hot and enjoy! 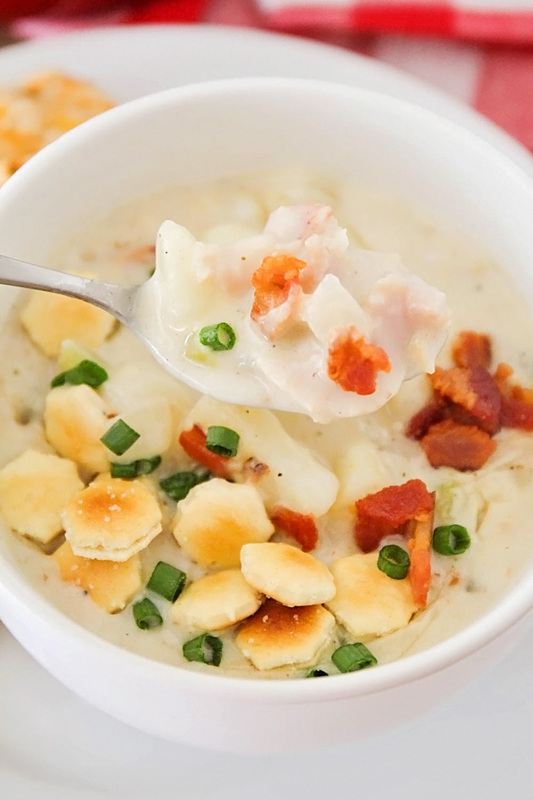 This savory and flavorful bacon clam chowder is quick and easy to make, and so delicious! Sometimes I'm still in shock that I now live in a coastal state. I grew up in a landlocked state, and visited the ocean only a handful of times growing up. Since we moved to Oregon over the summer, it has been a pretty amazing change to be only a little over an hour away from the ocean. We drive to the beach at least once a month, and even though it's generally too cold to swim, it does my heart good to walk on the beach, breath in the fresh air, and stare out at the waves. Whenever I'm having a bad day, driving out to the beach totally turns things around for me. With our many trips to the beach, we've had fun trying out all the little beachside restaurants near us. I always order a cup of clam chowder with my meal, and it has been fun trying out a bunch of different varieties. 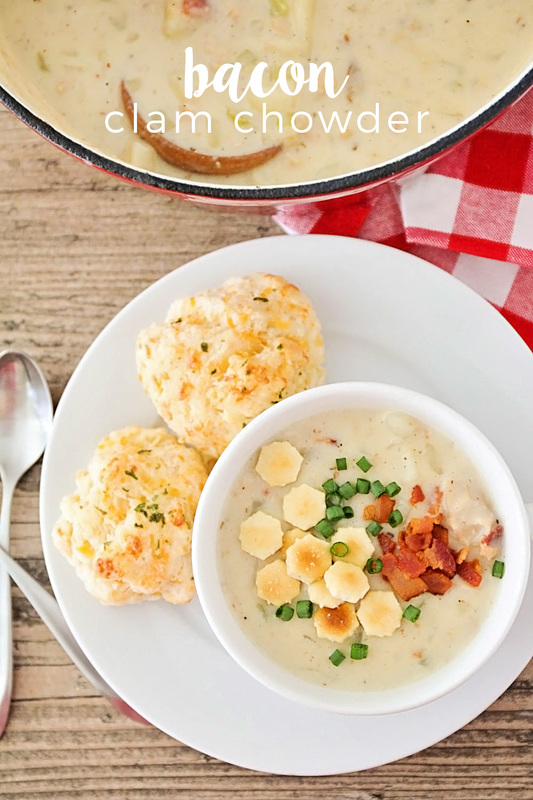 For me, the perfect clam chowder is smooth and creamy, has a nice peppery bite, and is loaded with chunks of potatoes and clams. Throw in a little bacon, and it's perfect! Since I can't get enough chowder, I've been experimenting with making it at home, and this recipe is pretty much just clam chowder perfection. 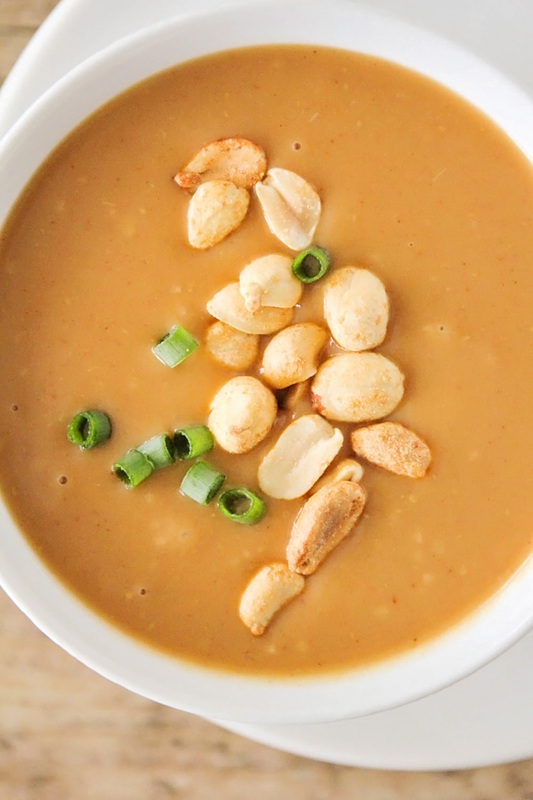 It's incredibly flavorful and savory, has the perfect balance of spices, and is creamy and delicious. 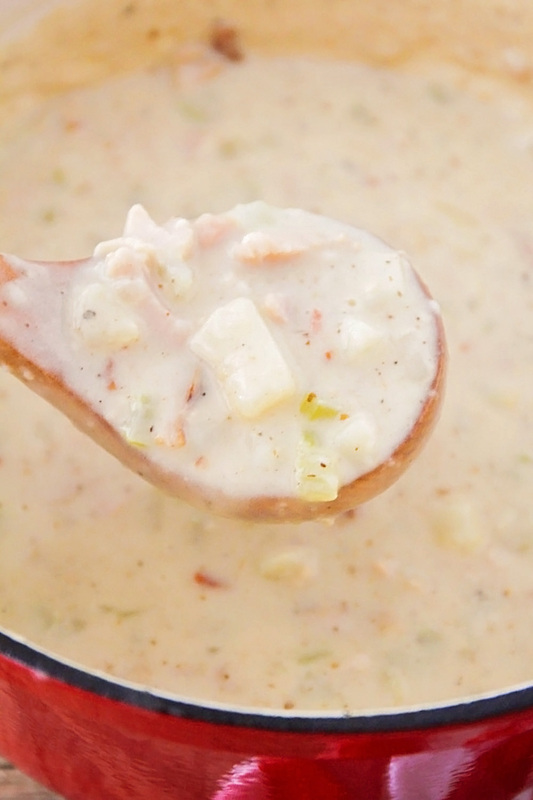 I love the chunks of clam, bacon, potato, and celery, and all the flavors in the soup blend together harmoniously. 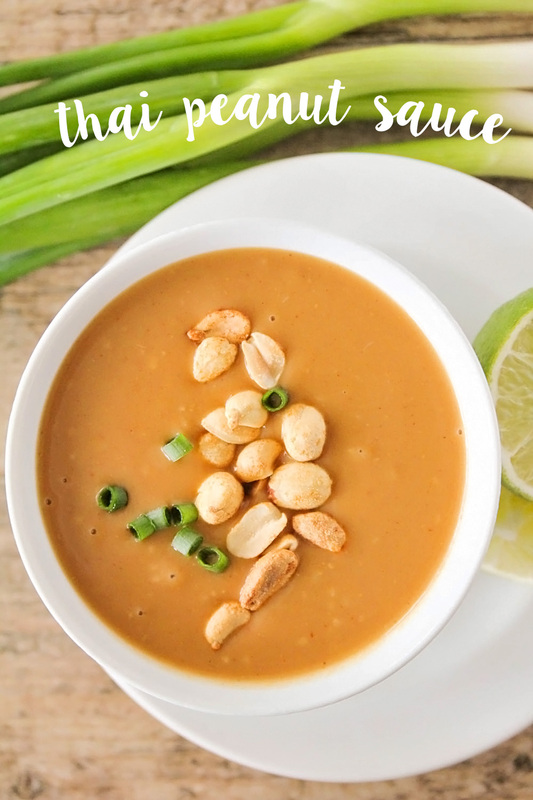 Since today is National Soup Day, I thought it was only fitting to share this recipe with you today! 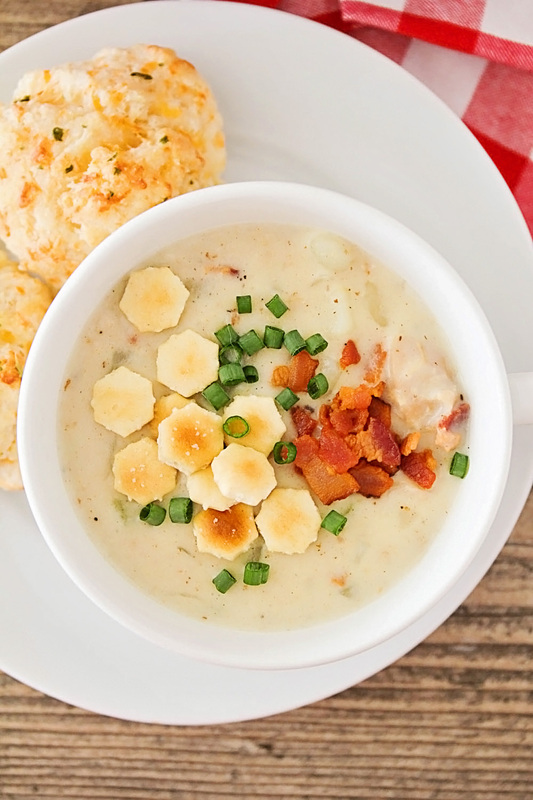 It's easy and quick to make, and everything I want in a clam chowder. We ate ours with some cheddar biscuits on the side, and it was a delicious and hearty dinner. My girls loved the chowder and licked their bowls clean, and my husband went back for thirds. Definitely a keeper recipe! Add the bacon to a large pot over medium heat, and cook until crisp and browned. Remove the bacon from the pot and place on paper towels to drain. Add the butter, celery, onion, and garlic to the pot, and cook 3-4 minutes, until the onions and celery are softened. Add the potatoes, chicken broth, clam juice, pepper, salt, and Old Bay seasoning to the pot. Simmer 10-15 minutes, or until the potatoes are cooked through and easily pierced with a fork. In a small bowl, whisk together the flour, half and half, and milk. Pour the flour mixture into the pot and cook 10 minutes, or until thickened. Stir in the reserved clams and the bacon pieces. 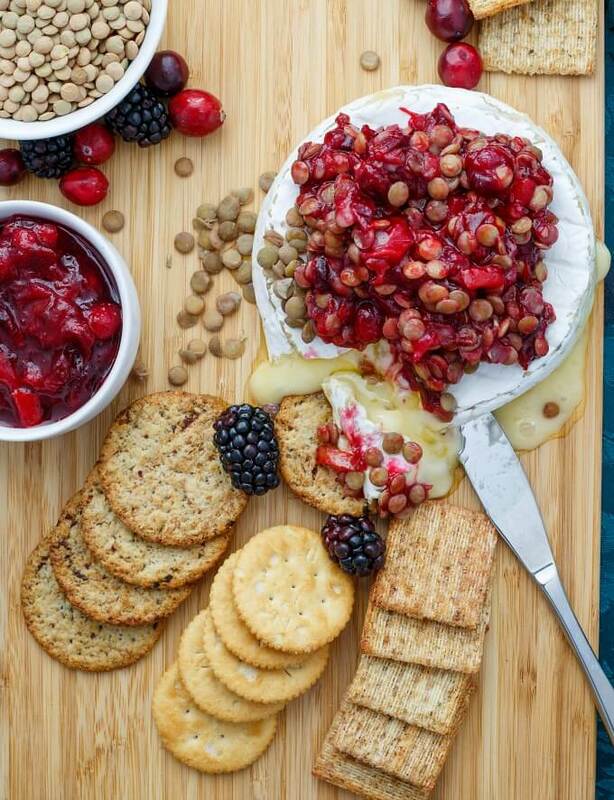 Serve hot, topped with oyster crackers. 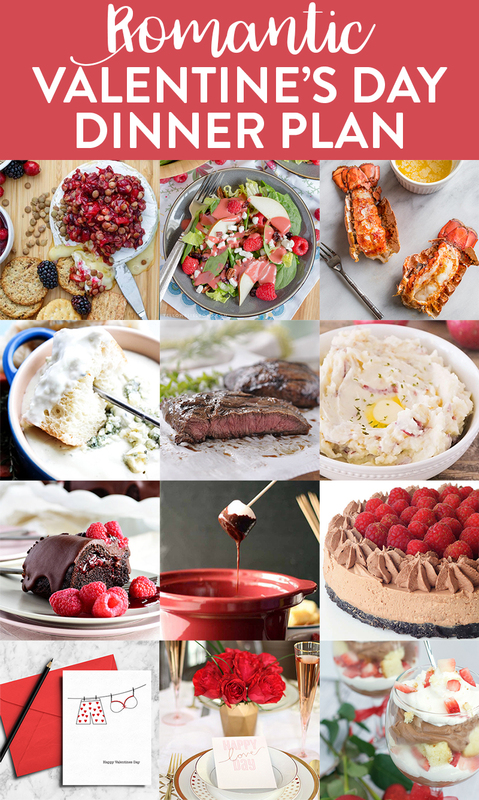 For more delicious soup recipes, check out these favorites from my food blogging friends below! And don't forget to check out these delicious soup recipes from The Baker Upstairs!